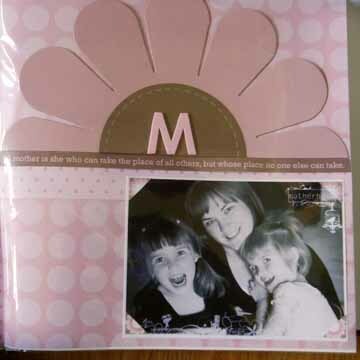 Scrapbooking!!! – It Works For Bobbi! 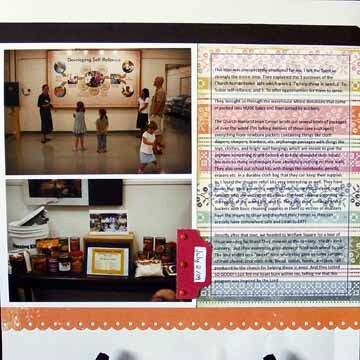 Published on September 3, 2009 August 9, 2016 by Bobbi-Jo G.
I have to scrapbook! It bit this week and I knew I had to dive into the HUGE pile of vacation pictures that has been staring me in the face since we came home at the end of July. I bought an album especially for my vacation photos – and now I’m wondering if it will be big enough! LOL! 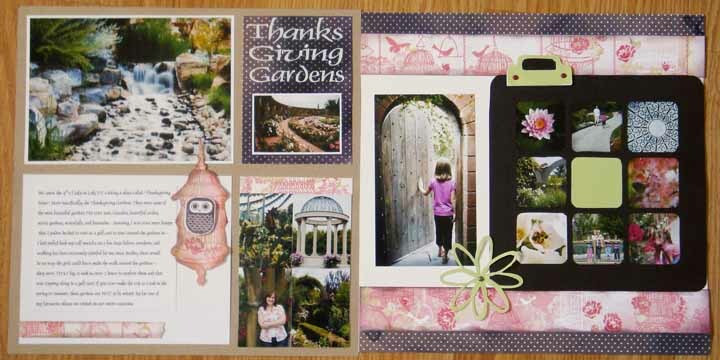 Anyway, after a day and a half of scrapbooking, I’ve managed to pull out a few layouts I like. 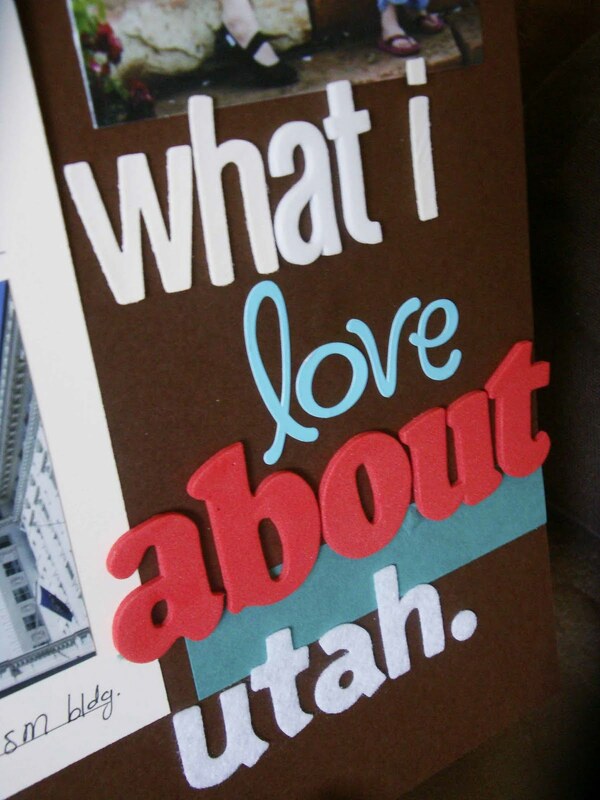 I started with a layout outlining the highlights of our trip to Utah. I bought kit from Pebbles In My Pocket for this, which made it easy. 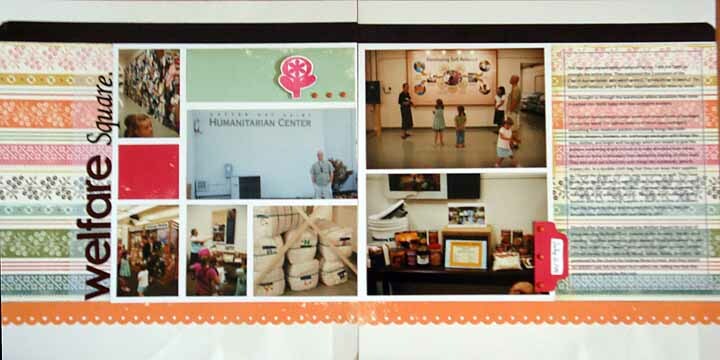 I had to use my own letter stickers and photos, but the rest was included. 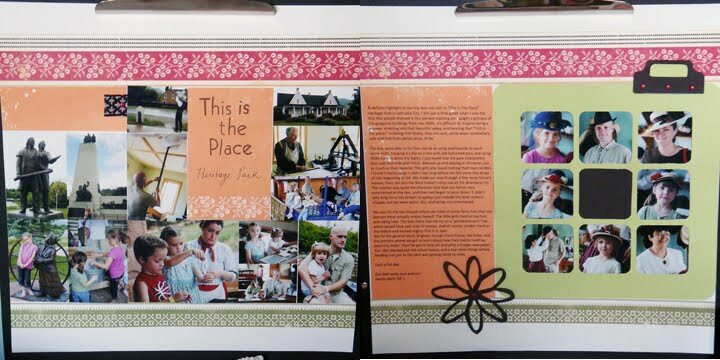 This is a 2 page spread I made about our visit to “This Is The Place Heritage Park”. As you can see, I used a LOT of smaller pictures instead of a few larger ones. I did this so I could essentially do a 2 page spread for each place we visited, in order to fit our vacation into ONE album. 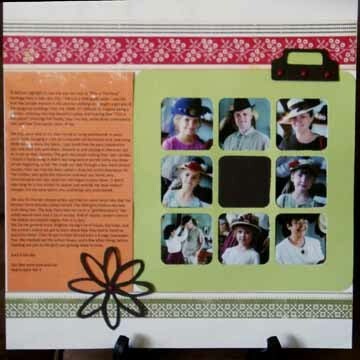 This layout isn’t my favorite – I might yet put a larger photo on the left hand page as a focal point, but this is what I have so far. 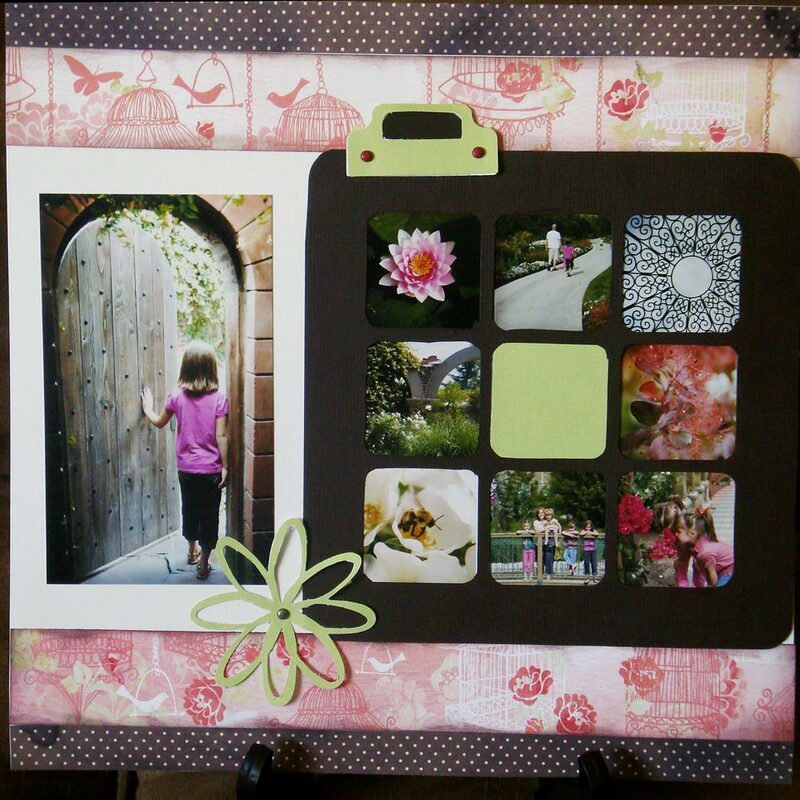 I cut out the photo mat, folder tab, and flower on my silhouette, which had been gathering dust in my craft room. I love them! These layouts are probably my favorite. 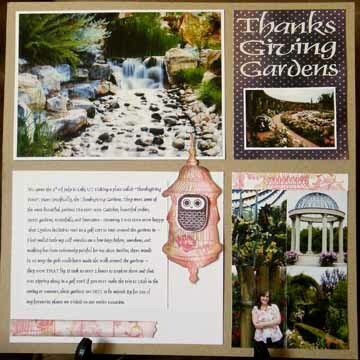 I used a similar layout as the one above, but added a photo in place of journaling, and did the opposite page a little differently. 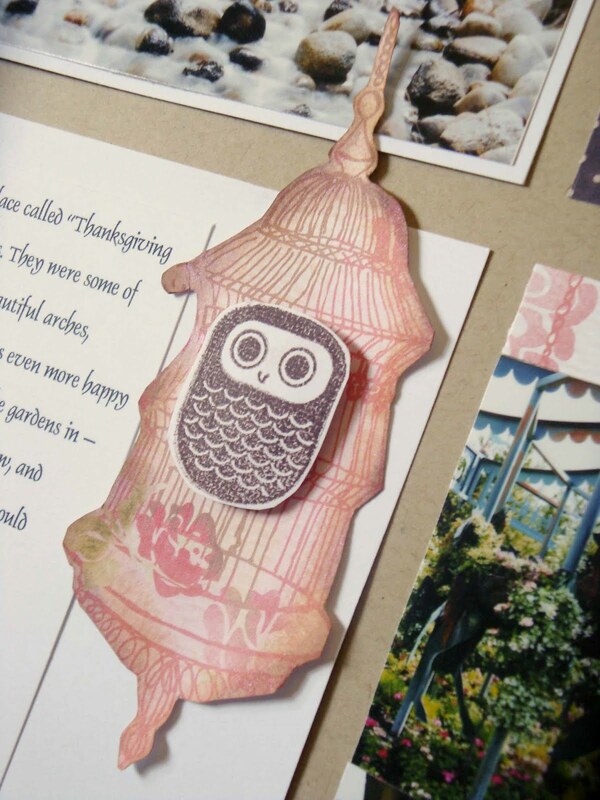 I cut out one of the birdcages from the patterned paper, then stamped a little owl onto some white cardstock and adhered it to the birdcage using a pop dot. I also inked around the edges with some tan colored ink. 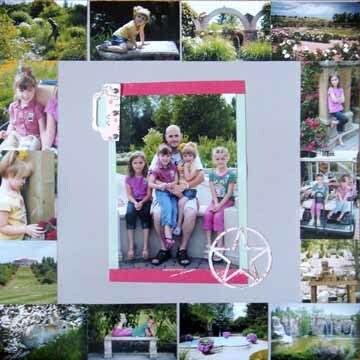 I love how the photo mat made quick work of showcasing some of my favorite shots from the visit to Thanksgiving Gardens in Lehi, UT. 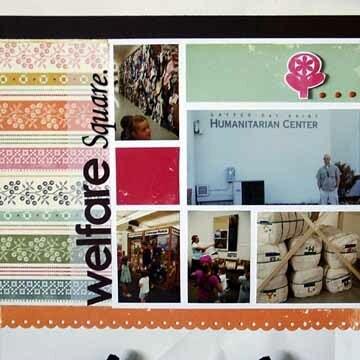 These next pages are about our visit to Welfare Square and the Humanitarian center. I created a simple color blocking type technique – just eye balling it, really. I included bits of red to add some pop to the layout, and printed my journaling on some adhesive vellum to show the patterned paper while muting it somewhat. This is just another example of trying to fit a bazillion photos onto one page. Since it’s going to be sitting next to the above layout, that only has ONE photo -I didn’t mind it being so full. 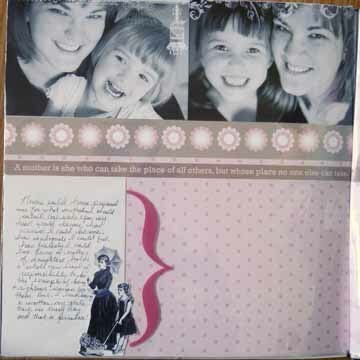 I’m sure I’ll be back with many more because so far the scrapbooking urge hasn’t waned. I want to finish more of my vacation pics. It’s so encouraging to see the pile slowly getting smaller and smaller! I’d love to hear your favorite tips for documenting YOUR vacation photos! Sorry, no tips as my photos sit on the computer for ever and maybe get printed and then sit in the package for even longer. I must get on that soon! *sigh* I sure envy your many talents! Your layouts are all gorgeous Bobbi! It just amazes how you can “bang” them out so quickly!